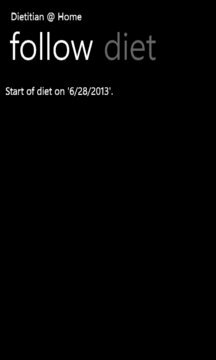 This application helps you perform a weight loss nutritional diet. The app for reducing weight or for the bikini body challenge. 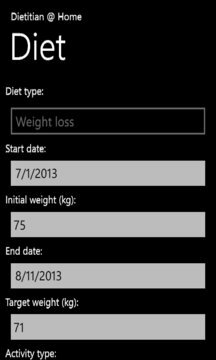 Allows you to enter your personal data to calculate your BMI. Allows you to enter a diet to lose weight. Allows you to track the evolution of the weight. Lets you ask the server for the weekly food menus of your diet. Lets you get a list of articles on the web. We will send notifications of new articles on the web.